The criminal underreporting of the true numbers of US personnel killed & wounded in Iraq alone, beginning with Iraq War One under George HW Bush, has gone unreported to the public ­ to this day. Poppy covered up the information, but Indymedia-houston reported it along with the names of the over three hundred American military personnel that were slaughtered on a single day in 2006 ­ at Forward Base Falcon, on Gee Dubya’s watch. Just like his daddy, George Junior covered up that fact, and removed the list of the names of the dead that I put out to the world on half-a-dozen occasions ­ together with the writing of others at that time. 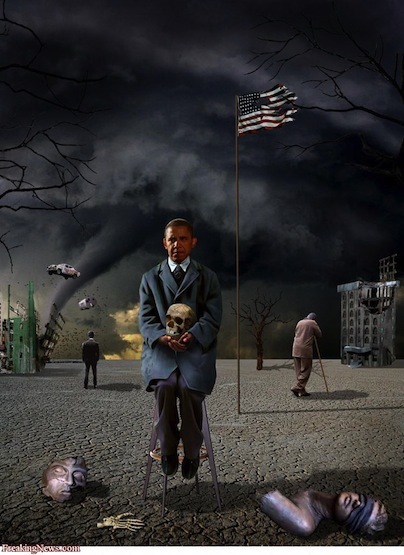 Now that Barry Soweto has inherited the problems of Iraq—this has become his responsibility to tell the world the truth about the number of American-causalities that died and were wounded inside Iraq in that now 22 year long war. Had the world known the truth about the number of dead & wounded, in Iraq, the US would never have gotten involved in the illegal preemptive strike, the infamous Shekinah (Shock & Awe) that was illegally undertaken by George Bush Jr. All of what we did inside Iraq was illegal by international-law. On top of that three US presidents covered-up the original war-crime - by failing to report the truth about our casualties to the world! This continuing series of lies made the deaths and the wounded— created by the government of this country—guilty of the massive war crime of omission. THEY ALL THREE LIED ABOUT THE TRUTH. Because had the country and the world known how many people we lost in Iraq, initially, and all through Iraq War Two ­ the US could never have been able to force troops to fight in that totally illegal war that we have now clearly lost! “George Walker Bush has presided over the worst defeat of the United States Military since Vietnam and has deliberately skewed reporting of the deaths and injuries to conceal the facts. Department of Veteran's Affairs, in conjunction with the Joint Chiefs of Staff, has released the truth because they need the American People to know our military is literally, destroyed. They cannot release these horrific numbers via the chain of command because they are under orders to conceal the truth at all costs, so they let slip a report which now cannot be "un-slipped." Here are the facts and a link to the government source to prove these facts: More Gulf War Veterans Have Died Than Vietnam Veterans. Soldiers, by nature, typically don't complain. They don't want to be perceived (by idiots) as being weak, or complainers, or looking to get out of work/danger. In other words, the real impact of those who are disabled from the US invasions in Iraq, Afghanistan and other Nations, is not fully reflected in the official Veterans Affairs numbers. Why are the government numbers of 3,777 as of 9-7-7 are so low? The answer is simple, the government does not want the 73,846 dead U.S. soldiers killed in the Gulf to date to be compared to the 55,000 U.S. soldiers killed in Vietnam, lest we all conclude Iraq = Vietnam. What the government is doing is only counting the soldiers that die in action before they can get them into a helicopter or ambulance. Any soldier who is shot but they get into a helicopter before he dies is not counted. 73,846 dead U.S. soldiers for this scale operation using weapons of mass destruction is not high - we expect the great majority of U.S. soldiers who took part in the invasion of Iraq to die of uranium poisoning, which can take decades to kill. When you add these crimes to what is now being done to the Homeless and Disabled Vets, with the theft of the 1888 Deed for posterity which has been shredded in reality; not to mentioned that it has failed to honor any of the legal-expectations of the veterans who depend for survival, upon the promise, which the Gang-of-Five has decided to cheat the Veterans out of. The same people who waged all the wars we’re still fighting in are behind making sure that the vets of all the wars, which they demanded we wage—want to make certain that the surviving vets will be left to die homeless and uncared for on the streets of the country that supposedly sent them off to war in the first place! “The nuclear waste the U.S. has exploded into the Middle East will continue killing for BILLIONS of years and can wipe out more than a third of life on earth. Gulf War Veterans who have ingested the uranium will continue to die off over a number of years. So far, more than one million people have been slaughtered in the illegal invasion of Iraqi by the U.S.. This is genocide of the highest order. Iraqi birth defects are up 600% - the same will apply to U.S. Veterans. That is how the Gang-of-Five is involved in this War-Crime that involves billions of people, not just the Vets that are being ignored to death! This War-Crime involves millions of people—victims the world over who will pay for all that we have done with the DU-weaponry we’ve already expended, not to mention how much more of this is continually being used in every hot-spot we have gone to war to steal. Don’t let these war-criminals get away with this by letting their chosen judge, S. James Otero; shove these war-crimes under the global-table one more time - this Friday!